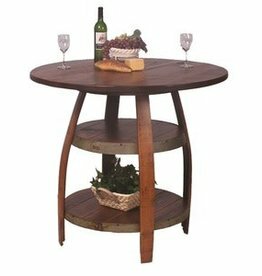 Four full stave legs with an ample rough sawn wood top and 2 display/storage shelves. 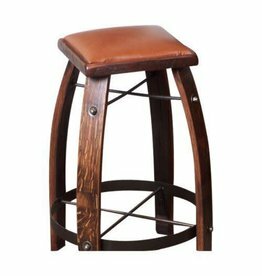 The handy bistro height works great with 2 or 3 of our 24″ stools. 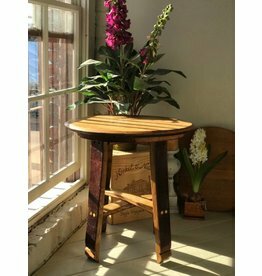 36"h x 30"w x 30"d.
Handmade in the US out of recycled French wine barrels. Sturdily constructed with metal ring and crossbars. Can hold up to 300 pounds. Leather seat also available in espresso dark brown. 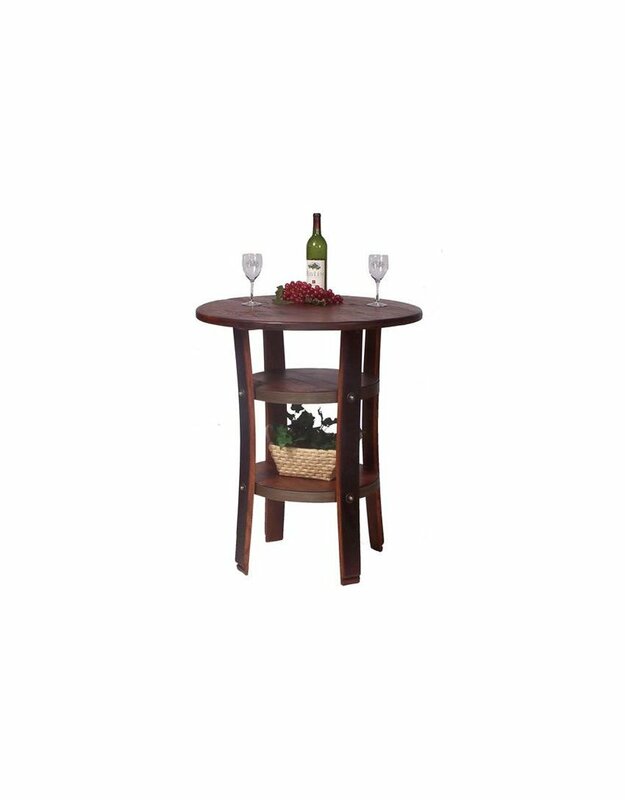 Available in 24", 26", 28", 30" heights. 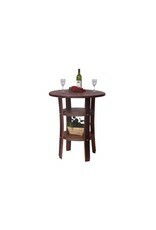 Made in the U.S.A. out of re-purposed wine barrels. 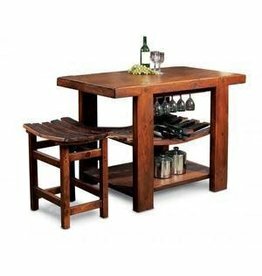 Features wine stave legs, tiered wine cask lower shelves with iron rings, a beautiful rugged top with hand beveled edges and a rustic finish. 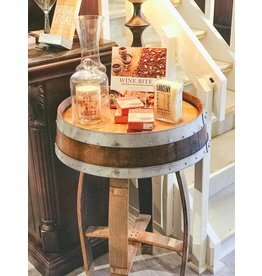 36"h x 40"w x 40"d.
This custom-built barrel table can be constructed to any height specification to fit your decor, including either a natural barrel color or stained to a medium cherry finish. 36"h x 24"w x 24" d.